like, subscribe... give us stars... you know the drill. Well, it has been a minute, as the kids say, but Bob & Kevin are back at it with a fun new episode where we discuss about the control of truth, various conspiracies and how social media contributes. We discuss the roles that big social play in the spread of mis- and dis-information and the potential personal implications of our own social media accounts in the process! We feel like this question might be as old as time itself - When do you upgrade to the latest and "greatest" version? And we are not just talking about software! Where are you on the adoption spectrum? Early adopter? Laggard? We discuss the various upgrade strategies they have witnessed in nearly a million years of being in tech. We also take a look into the release early and release often strategies that more and more companies are adopting and question which ones can get away with that, and which ones might be hurting their reputations in the market. Feel free to leave us some comments on social media @bobandkevinshow and let us know what you want to hear more of on upcoming episodes. Yup, you guessed it! a year in review and a look ahead episode all wrapped into one! Bob & Kevin take a look back on all the tech ugliness of 2018 and take a glimpse ahead into what 2019 may hold. We set some personal and show based goals... oh, and Kevin chose a coffee shop for his recording location... good times! Let us know what you want to hear more of in 2019 - because you can't get rid of us that easily!!!! We jump back into it this week after both of us have been crazy at work, traveling all over, and just dealing with everything that life has been throwing at the two of us the past couple of weeks. Don't worry, we still talk about twitter and facebook... we even discuss the new facebook video calling thingy??? What the heck is that all about anyway. Not gonna lie, we are both a little out of practice and we even forgot to really start AND end the episode... so, we hope you enjoy this completely raw and barely edited, very special episode. 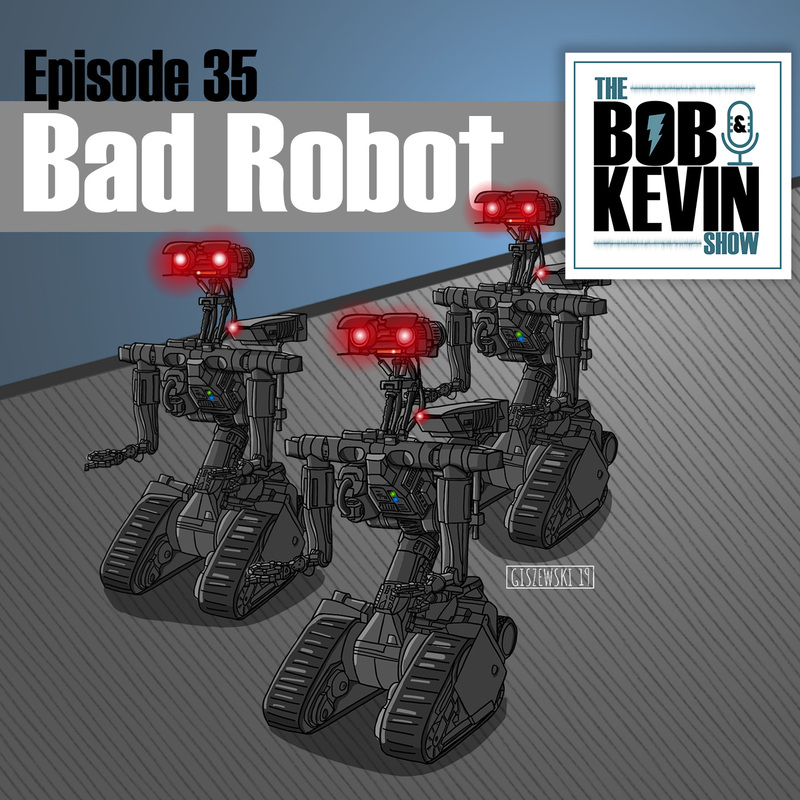 As always, feel free to hit us up on twitter (https://twitter.com/bobandkevinshow) and let us know what you think of the episode. Have a great week! Yup, we talked about browsers tonight... something along the lines of browser wars version 3.0. Apparently firefox is coming out with a new version that blocks all tracking out of the box... then we find out that a browser called Brave also already does this out of the box! Kevin talked about a chrome plugin that lets you pick which scripts to block and Bob worried about what all this new browser stuff will do to his robust event tracking in google analytics. We also talked a bit about the social media hearings on the Hill today and what this all means for the future of truth in our worlds... tune in and let us know what you think! This was by far our most controversial episode! Bob & Kevin discussed propaganda, brainwashing, cults and more as it relates to when something should be banned from various social outlets and the slippery slope that comes with deciding when someone no longer has the right to spread their message. We also talk about the blurred lines between entertainment and reality and if anyone is really EVER telling the full truth and sharing all the facts. Where the heck are we supposed to get our news these days? Heck is this chart even legit? https://www.facebook.com/vanessa.otero.9619/posts/10155006385626062 - who the hell knows!